Davey Baby picked out this 4 lb. 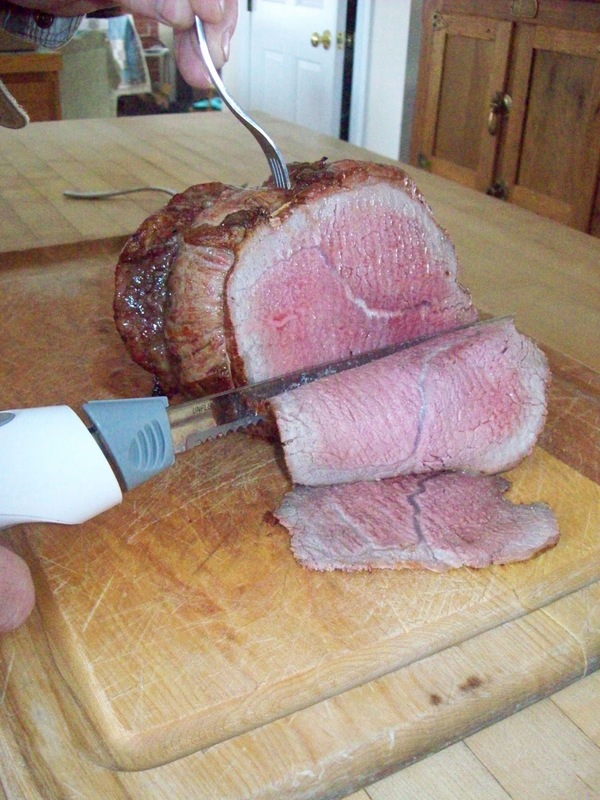 boneless blade roast @ Hannaford. I rinsed it off and patted dry with paper towels. Salt & pepper the roast. Heat your oven to 250 degrees. While the oven is warming, heat 2 tablespoons olive oil in a dutch oven on the stove. Add the roast and brown thoroughly on all sides. Place in oven and cook 40-50 minutes until the internal temperature reaches 110 degrees. 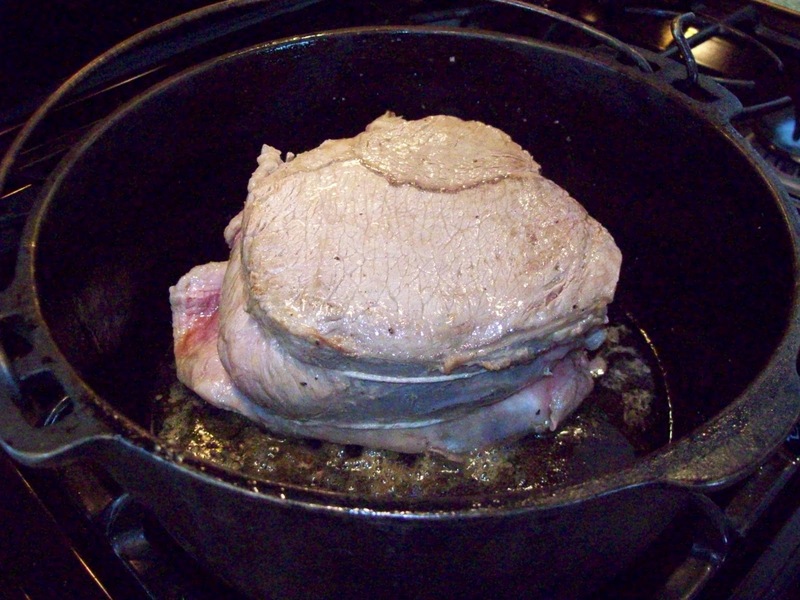 I like to use my cast iron dutch oven because it can go from stove top to oven. Increase oven temp to 500 degrees and cook until the internal temp reaches 130 degrees, 15-20 minutes more. Remove from oven and let it sit 20 minutes before carving. This produces a perfect medium-rare roast. If you prefer roasts more well done (although the more you cook it the dryer and tougher the meat) cook it to an internal temp of 140 degrees﻿ but no higher. 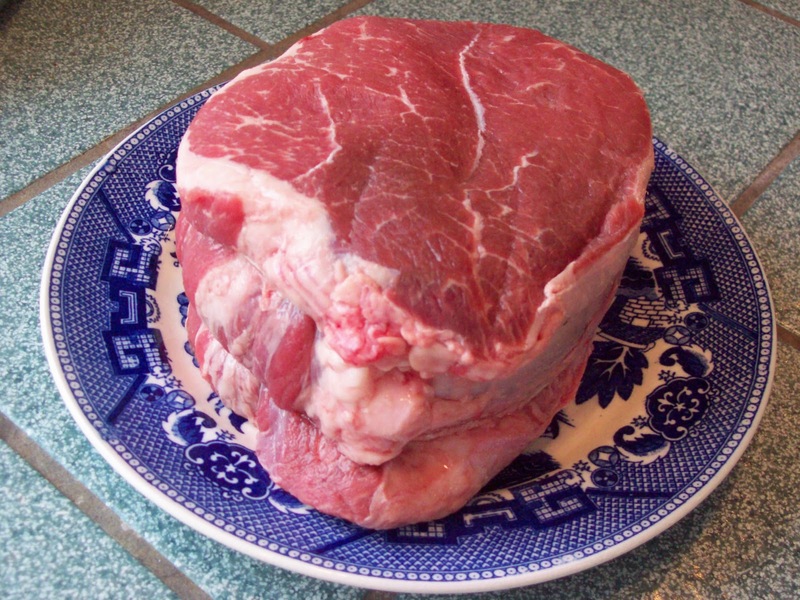 After 140 degrees the meat loses it's juices and becomes stringy and tough. 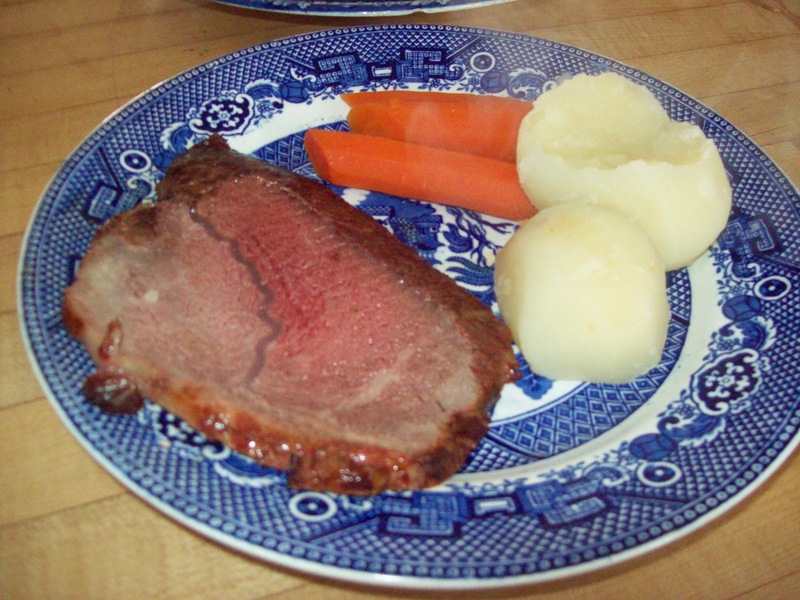 ﻿I boiled the potatoes and carrots on the stove top and we had a delicious Sunday supper. Excited to be your newest follower. Found you when google searching "Swiffer vac" for my blog today... "7 random thoughts." I love the collective blog! Looking for inspiration! Found some here.